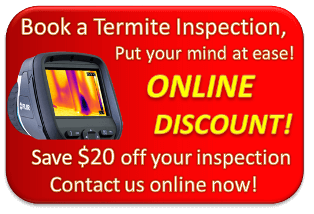 Termite News and Tips What is the difference between Termidor HE and Termidor SC? Termidor HE and Termidor SC are products we use in Barrier Treatments. For more in depth information on Barrier Treatments, please click here. A few years ago Termidor HE, high efficiency, came out on the market. It contains the same chemical, Fipronil, as Termidor SC. 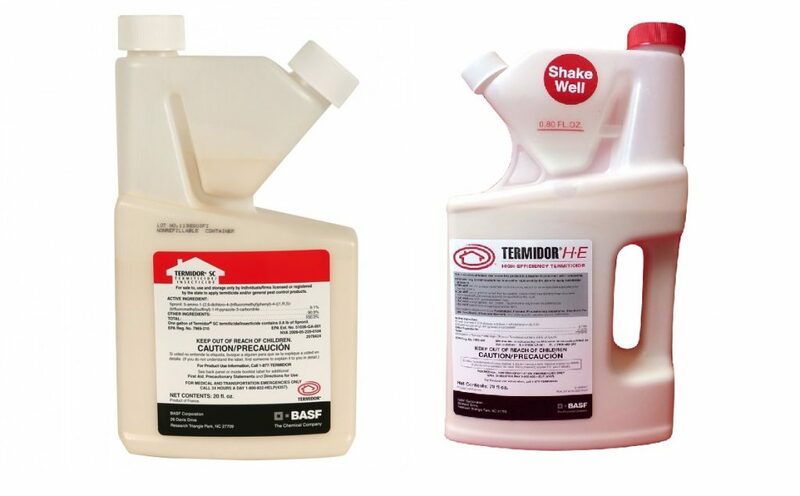 Termidor SC is the product which we at Termite Guys Brisbane have been using solely for the past ten years. Over the years this has proven to be a product to trust, so of course we were intrigued to see what Termidor HE would bring to the market. The Termidor products are produced by the German company BASF SE. This company has, due to a patent for the Method of Application (and world class products), become the world leader in termiticides. The timing of the development of Termidor HE is likely to be related to this patent for Method of Application, as it recently ran out. The development of Termidor HE has produced a new patent for the Advanced Polymer Technology (APT). This patent ensures that BASF has single right to a niche of the market, and if the product generates good sales it will also bring revenue. There are a few legal cases in the past where BASF has sued other companies for patent infringement related to the Fipronil market. To read more about it click here, here and here. But, moving on from the patenting issue, what is exactly the difference between Termidor HE and Termidor SC? There are a few criterias which must be fulfilled for Termidor SC to work as intended. These include how deep to dig a trench around the house, how wide the trench has to be, how much product is to be injected into the soil, and if drilling through concrete/tiles: how close to each other these drill holes need to be. All of this to ensure a continuous and even barrier enveloping the property. Termidor SC requires a high labor input to ensure the barrier is up to standard, and the drilled holes need to be very close to each other, which means that sometimes the technician will have to drill through the centre of tiles rather than grout lines. This may cause tiles to crack, and even if it doesn’t crack the covered up holes can be an eyesore to you as a homeowner. Termidor HE came to Australia in early 2018. It tackles a few issues which comes with Termidor SC. As Termidor HE can be injected at greater distance between drill holes, in tiled and concreted areas these can be placed in more aesthetically pleasing positions. This means that in most instances we can drill the holes within the grout lines, and thus not disrupt the tiled facade of the home. This also means less risk of cracked tiles. The way Termidor HE works is different to Termidor SC because the carrier molecule, which takes the active ingredient Fipronil with it, spreads in a different way through the soil. Termidor HE spread through the soil using Advanced Polymer Technology (APT). With the help of ATP the active ingredient has more movement horizontally and vertically compared to Termidor SC. The polymer then dissipates and thus allows the fipronil to bind to the soil. This new technology has proven to move 2.5 times further in the soil than the industry standard. Depending on the soil type, holes can be drilled up to 450 mm apart. Termidor HE and Termidor SC – When to choose what? Out of the two Termidor HE is more expensive than Termidor SC. They serve different purposes. Where Termidor HE is suitable Termidor SC may not be. Do you have large tiled areas which you want to maintain intact? Can you spend a little bit extra? Then Termidor HE is perfect for this section of barrier. As mentioned above, Termidor HE can save your tiles. The installation can be quicker as less holes need to be drilled, and the trench does not need to be as deep. This usually is not of an issue for you as a customer as it is only a matter of a few hours. Less water is needed for Termidor HE when mixed so it is a water saving alternative to Termidor SC. Termidor HE offers you as a customer a premium service. The unique Advanced Polymer Technology ensures a more uniform treated zone, and thus a new level of confidence. Termidor SC has a proven track record in Australia. After ten years solely using Termidor SC we have not had any failures. It is also the cheaper alternative of the two, so if price is an issue we definitely promote this product. Bear in mind that the two products actually contain the exact same active ingredient, the major difference is how they are spread and distributed in the soil. Termidor SC is not per se worse, it just requires more labor to install, and closer injection sites. But this also means that if there is some sort of obstruction in the way, the technician will be well aware of this, and rectify the issue. From our experience, even though we are very excited for this innovative product, we fear that if Termidor HE if used around the complete perimeter of the house obstacles such as pipes, stones and such are missed. Thus, leading to an inferior barrier. Our typical recommendation is to use Termidor HE in tiled areas and SC for the rest as a cost effective and practical alternative. It also appears to us at Termite Guys Brisbane that Termidor HE in the way it is marketed comes across as less labor intensive, with less drilling, less digging and thus less work for the installer. However, we believe this may result in lesser quality treatments and may become unintentional shortcuts within the industry. Termite Guys Brisbane’s biggest purpose is to ensure you as a homeowner the absolutely safest protection of your home. But we are also invested in giving you the most cost effective treatment available. Call and email us for a free quote on Barrier treatments or for more information on the Termidor products.